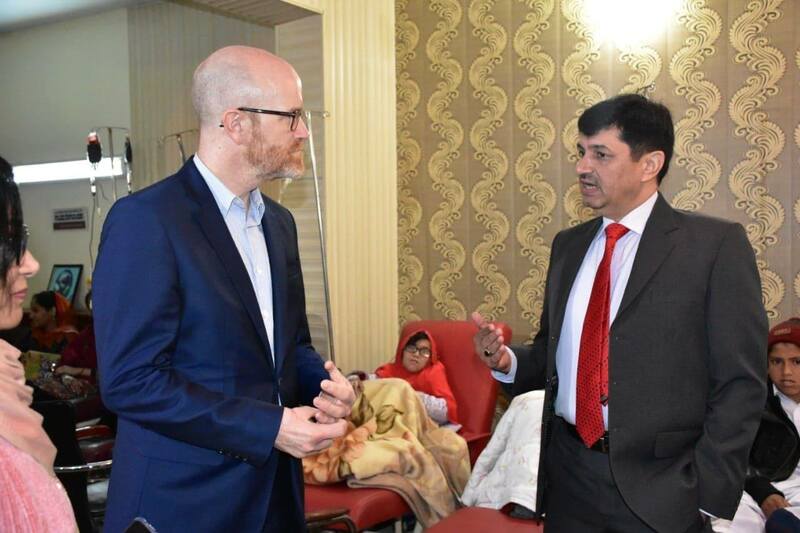 Islamabad, December 05, 2018: As part of his week-long trip to Pakistan, Facebook Vice President of Asia-Pacific - Simon Milner - and his team visited the Jamila Sultana Foundation Blood Bank in Islamabad on Wednesday. Since the launch in March this year, more than 1 million donors have signed up to donate blood in Pakistan using Facebook's Blood Donations. And more than 25% of walk-in donors at the Jamila Sultana Foundation have come from Facebook. “Connecting people in meaningful ways is incredibly important to us. Pakistan, like many countries, has a shortage of safe blood. In some cases, this shortage means patients and their families are responsible for finding donors to replace the blood they receive from blood banks or hospitals. This is where Facebook can help, by finding ways to more efficiently bring blood donors, people and organizations together. Our research suggests that when people have better information and tools, they’re more willing to donate blood — and it’s easier for people who need blood to find donors. We hope this product continues to help people come together in ways that weren’t possible before, and makes it easier for people and organizations in Pakistan to give and receive blood.” - Simon Milner, Vice President of Public Policy, Facebook Asia Pacific.